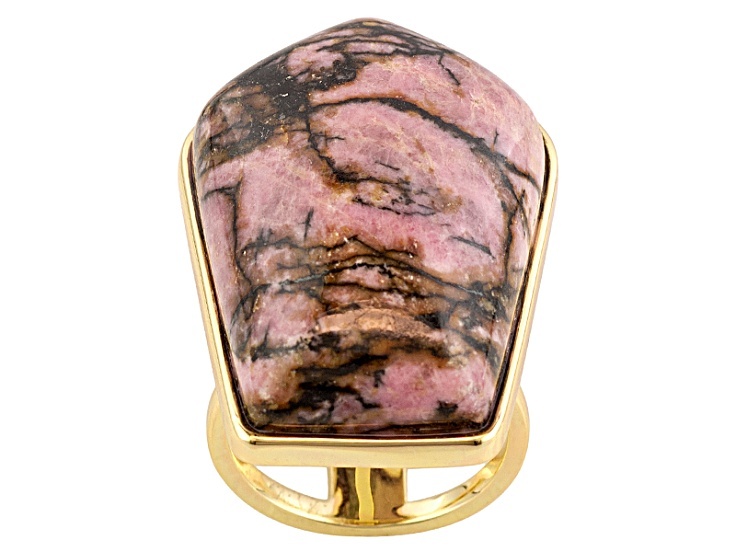 Rhodonite is an attractive mineral that is primarily known as an ornamental stone, but is often seen in jewelry in the form of beads or cabochons. This mineral easily falls into the category of rare and exotic, making it highly prized by collectors of specimens and gemstones. Its name, derived from two Greek roots, means "rose-colored stone." Rhodonite, which is commonly found in massive or granular forms, is most often translucent to opaque in appearance. On rare occasion, transparent, gem-quality material may be found. Rhodonite's natural color ranges from pink to rose red to brownish red, often with blackish veins throughout. RI, birefringence, appearance and spectrum. Misnomer: pink marble. Might have a spot reading of 1.54 due to quartz impurities. Rhodonite might have black, white or metallic veins or spots of manganese oxide.